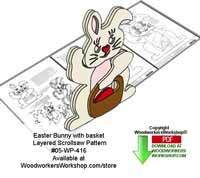 Easter scroll saw patterns, some free, some for a very reasonable price. Often available as an instant download Portable Document File, easily printed on your home printer. 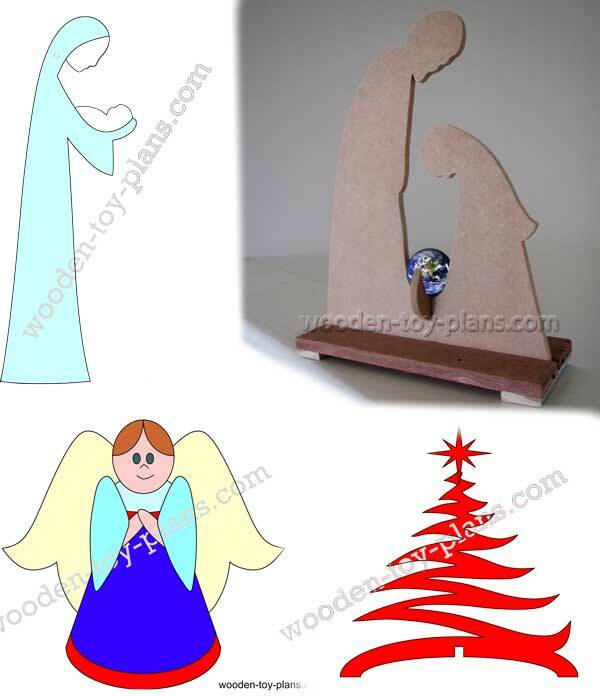 To make these projects all you need is a scroll saw and other common workshop tools. This Easter, the bunny is ever ready to deliver eggs and treats! We enjoy making holiday designs to decorate doors and walls. 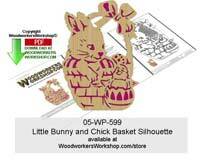 We developed this layered project to make it easy to paint all the parts separately, then simply glue them together. This technique gives the project more depth than a one board project. You decide how you want to make it! 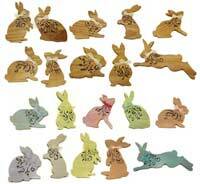 These delightful bunny ornaments are sure to brighten your home throughout the year. 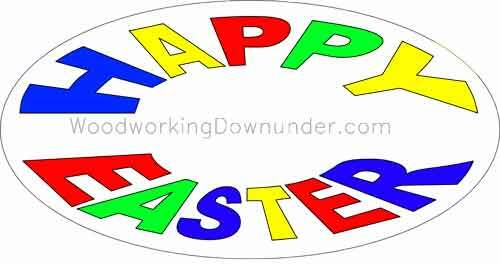 Use them at Easter or spring time and even through the summer. Display as garden decorations or plant pokes. 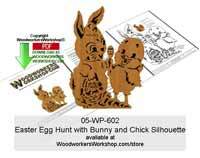 The instructions provide all the details on 2 ways to finish them. 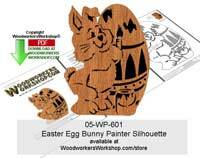 More easter scroll saw patterns.